Hello we hacked this badge from BrainSmoke. 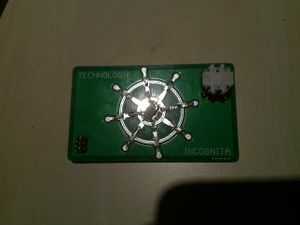 The first time we soldered the badge like it was designed by BrainSmoke. The second time we modified the firmware. The third time we added the reset button. The fourth time we connected the led. This page was last edited on 15 February 2017, at 03:06.